The latest consumer industry favorite compact action sports camera is rumored to feature 4K recording, Bluetooth 4.0 for wireless file transfers and a 2800mAh battery. a bit of a problem for most consumer applications. The expected release date is in the forth quarter of 2015. 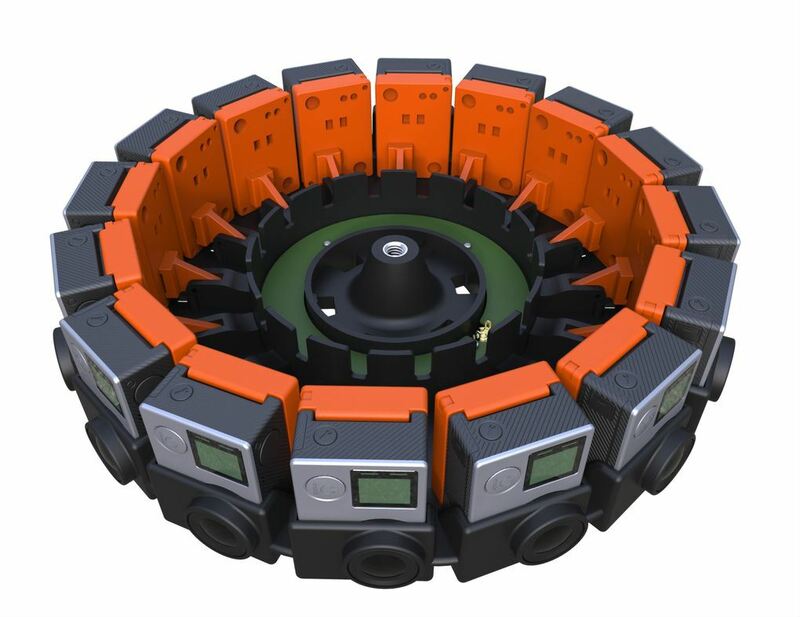 GoPro has a system that is currently available that allows users to capture native 3D by syncing two cameras together in their “Dual Hero System”. The Dual capturing system records 2D video or photos then converts them to 3D using GoPro’s free Studio editing software. The Intel RealSense 3D depth camera can be used to recognize head and hand movement and it also allows a change in focus after the pictures have been taken. easily incorporated into next generation smartphones. An added plus for the emerging consumer 3D printing market. 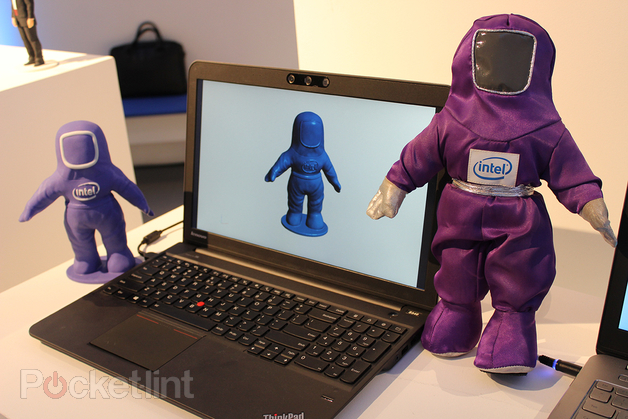 3D gaming with gesture control is another hot area for the Intel ReaSense 3D cameras. For more information click on the source links below. ABC news, early morning edition had an interesting story featuring an up close look at a new 3D imaging technology coming to market. Contributing tech reporter Tina Trinh took a look at a 3D body scan by start up, “Body Labs.” Body Labs is currently working with the US army to perfect their body armor fit and design. Body Labs takes a 3D image of different body types in order to design a more perfect fitting Body Armor. Other uses mentioned were for fashion and the health and fitness industry. Tina also tested the latest new 3D imaging tablet from Dell called the Venue8 7000. The new Dell tablet is able to photograph a room and or objects and give actual dimension including height and width of captured objects. Tina noted that the Dell product performed well but with a few noted flaws. For a more detailed report check out the enclosed video from ABC new. Look for 3D technology in upcoming video games, tentpole movies, advertisements, lenticular marketing materials, upcoming tablets and smartphones, health industry and across all sectors of both consumer and industrial goods and products and applications. Glasses Free 3D may be coming soon to a theater near you in the near future thanks to Austrian start-up TriLite. Austrian researchers have developed a laser system that sends different images to each eye creating a 3D effect without the need for 3D Glasses. The researchers claim that their new technology can project 3D images on giant screens, on outdoor buildings even in New York’s Times Square. The new 3D laser technology would allow hundreds the ability to view 3D images from various positions without distortion which has been the problem with glasses free 3D we know today. 3D, “The Future of Entertainment,” I believe is just around the corner. Glasses Free 3D technology is getting better each year. 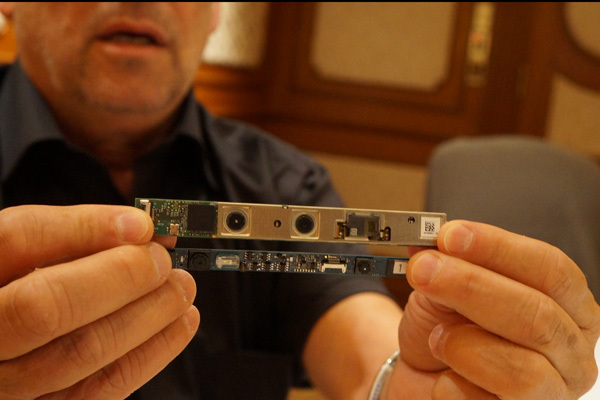 The new technology is from a new start-up company called TriLite Technologies based in Austria that formed in 2013. The research and development of this new groundbreaking technology was developed alongside a research team from the Vienna University. Other usages per their website are for outdoor ad display and outdoor or large scale glasses free 3D cinema. For more information on this amazing new 3D technology visit TriLite Technologies website by clicking on the link. From movies to 3D printing, the third dimension has captured the attention of artist, engineers, scientist and inventors across numerous fields. One of those emerging new fields is 3D Imagining and capture. 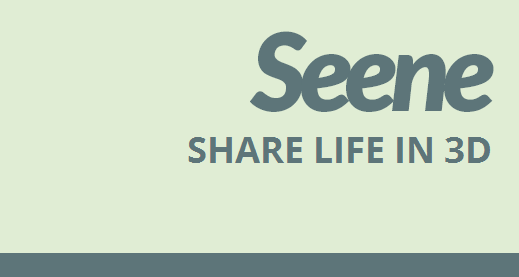 Tech company Obvious Engineering is the computer vision start-up company behind the 3D photo app Seene. with hopes of making the app more main stream, example converting your 2D images to 3D and maybe even an CAD file to print out your favorite 2D image in 3D form. Check out the video above pretty awesome! The hot consumer action sport digital camera goes 3D! 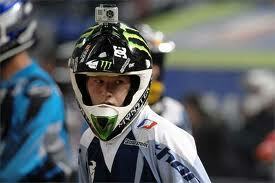 The GoPro digital camera is a favorite of xtreme sports enthusiast. Mount a point of view camera to your BMX bike, motorcycle, surfboard, turn it into a helmet cam and with some basic editing you can share your favorite insane stunt action with friends, family and the world. Remember YouTube has a dedicated 3D channel. 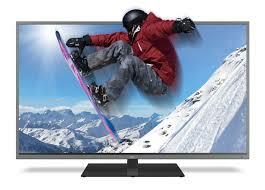 YouTube also recently partnered with electronics giant LG to increase the selection of 3D content. The 3D market will reach the masses via the multitude of hand-held consumer friendly 3D capture devices and 3D glass-free devices like the 3DS, the Sony 3D Bloggie, GoPro3D, LG Optimus 3D and a host of other that will hit the market by the 1st and 2nd quarter 2011. When I mean friendly I mean ease of use and at a price point that won’t break the bank. 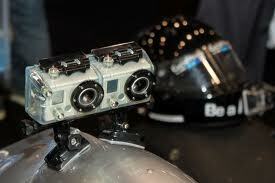 The 3D GoPro high def video camera will be available March 2011. 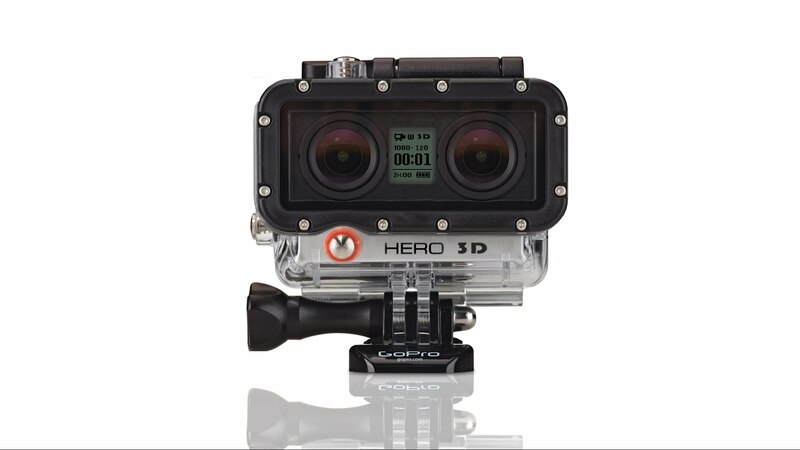 The GoPro 3D is a waterproof housing case that holds 2/ 1080p HD GoPro cameras side-by-side. Note the cameras must be purchased separately at $259.00 each. The 3D kit also includes a special syncing cable that will allow the two cameras to roll at the same time capturing a dual image, which is mandatory for 3D filming. The cameras create two separate video files in MPEG format and the included software merges the two files into one high def in your face 3D masterpiece. GoPro 3D Hero about $100.00 requires two cameras. GoPro single Hero Helmet camera featured. Imagine 3D mounted system pretty cool. Olympus launched three new point-and-shoot cameras on 02-08-2011 and announces a fourth coming in April. First a super-zoom, next a compact zoom and third a sub-$100 dollar model. The forth Olympus 3D camera coming in April is the VR-330. 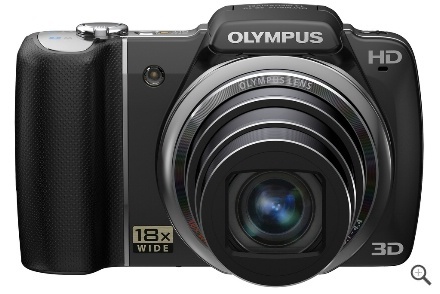 The Olympus SZ-10 super-zoom will pack an 18x optical zoom and capture 3D photos (not true 3D). The three cameras introduced on Tuesday will utilize the Olympus new 3D capture technology. In order to capture true 3D photos, a camera requires two lenses with two corresponding image sensors (like the FujiFilm Real 3D W3). Since the SZ-10 doesn’t have two lenses, it creates one 3D image by shooting two images at different angles and merges them together. The 3D file is written as a .MPO file, the industry standard for 3D image files so it should be compatible for playback with most 3D HDTVs. The SZ-10 will also offer a high resolution (460K dot) 3-inch LCD, 14-megapixel image captures and 720p video capture for $249.99. 3” LCD screen which will most likely not allow for 3D viewing. No mention of the viewer window displaying images in 3D. In April Olympus will release its VR-330 compact camera, which will pack a massive 12.5x zoom and a 14-megapixel sensor. The lens will have a range of 24-300mm. The Olympus VR-330 camera will also have the ability to capture 3D photos in any mode. 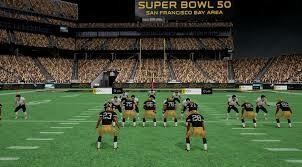 The 3D photos in .MPO files, which can then be played back on a 3D television or laptop. The VR-330 will have a sparse control layout with only essential menu buttons located on the rear next to the 3in LCD display, and a dedicated button for initiating HD video recordings. Pricing for the new VR-330 camera is yet to be set. Sony model MHS_FS3 3D Bloggie Touch Camera. Available for pre-order only from Amazon and others. More to follow when we get our hands on one. Fujifilm’s website. The camera features two Fujinon lenses and two CCD’s for true 3D imaging. RP (real photo) Processor, image data captured by twin lens-CCD system is processed by the RP Processor 3D. The newly developed processor automatically evaluates all photographic factors including, color, brightness, tonality then merges the left and right image into a single 3D image. View the 3D images on the cameras glasses-free 2.8-inch 3D LCD screen or you can purchase, Fuji’s FinePix Real 3D V1 8 inch glasses-free 3D monitor. Overall user reviews have been positive. High marks for 3D capture and on camera review. Cons have been users feeling the camera was bit heavy and the high cost of 3D TV or 3D computer monitor to view the 3D images on. The inability to share the 3D experience with friends and family who don’t currently own a 3D.